For Christian pet owners, sharing relevant Bible verses about pets dying can be very comforting. If you are looking for good Bible verses for pet loss to write in a sympathy card or include with a gift basket for the loss of a pet, the following passages ask for strength, encouragement, and divine help through tough times. This Bible verse about losing a pet talks about the comforting presence of God and emphasizes that He cares about all of creation. Since pets are part of that creation, they are included in this care and attention. This can be reassuring for pet owners who weren't able to be with a pet during its last moments. Peace is usually in short supply in times of grief. This verse implies that death is not to be feared and that looking for peace in the midst of pain is a worthy and reasonable goal. Finding peace may mean taking a day or two off of work to work through the immediate grief, or simply keeping evenings quiet if full days of rest are impossible. 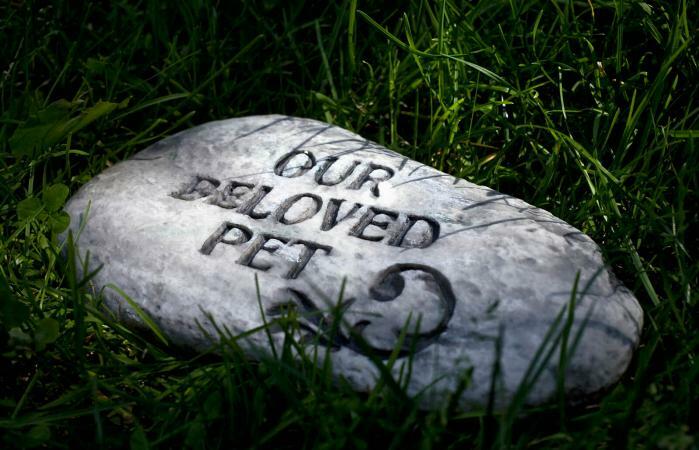 Pets who have passed away are finally at peace, and that thought may give a newly bereaved pet parent a bit of comfort. It isn't the simple peace of having enough to eat, a warm place to sleep, and plenty of affection, but a deeper and more permanent peace. This verse reminds those who are Christian that it is God who should be the source of strength, and only He can fully support us. It also reminds pet owners that there is nothing to fear, not even death and that they will get through the intensity of the loss. Prayer can be a great way to work through the sharp sadness of the first few days without a beloved companion. This verse directly speaks to God's love for His creation, even the small and inexpensive birds sold for pennies in the ancient markets. God cares about the suffering and life of every animal in his creation and loves also the pet's owner. God remembers each moment of a pet's life, and delights in the beauty of each part of his created world, no matter how small. This is one of the most comforting Bible verses when a pet dies. And God said, "Let the water teem with living creatures, and let birds fly above the earth across the vault of the sky." So God created the great creatures of the sea and every living thing with which the water teems and that moves about in it, according to their kinds, and every winged bird according to its kind. And God saw that it was good. God blessed them and said, "Be fruitful and increase in number and fill the water in the seas, and let the birds increase on the earth." These verses describe the beginning of Earth's existence, in which God paused all the other work in order to create animals. He deemed them "good" and urged them to increase in number. These verses from the Old Testament paint a picture of a harmonious existence in which animals of all types live together happily in peace alongside humans; it references a world not burdened with sin. 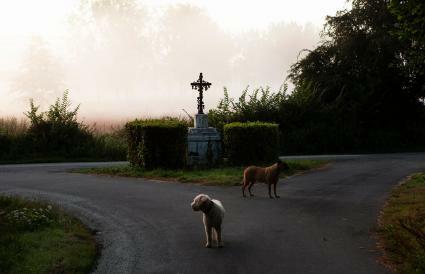 There are not ample Bible verses to choose from that indicate pets will join people in Heaven, but there are some verses that point toward the idea of animals having souls, and therefore, perhaps eligible to spend eternity in Heaven. And to all the beasts of the earth and all the birds in the sky and all the creatures that move along the ground-everything that has the breath of life in it-I give every green plant for food. And it was so. This is God speaking in this verse about creation, and how He granted "the breath of life" to animals - the same "breath of life" He grants Adam in Genesis 2:7. This beautiful verse paints a picture of all creatures of the Earth - both humans and animals - praising God together. This verse may be the most appropriate when attempting to ensure a grieving pet-parent that their pet is in Heaven, as it plainly states, "all go to one place." Friends who are religious will welcome these verses, and may even be somewhat comforted by them. Be careful not to offend friends who have different religious beliefs, and offer comfort to these friends in ways that soothe them. Don't try to push specific beliefs on someone who is hurting from a new loss, but do help spiritual friends with grieving for a pet from a Christian perspective.